French cuisine was declared a 'world intangible heritage' by UNESCO in 2010. 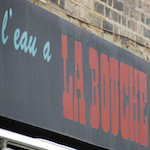 Although this was probably pushed for by the French government of the time and some other cuisines are equally deserving of that classification… It just goes to show that we care! 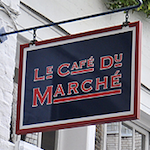 Le Café du Marché is hidden in a little alley off Smithfield market. The setting is atmospheric, the food is delicious and they also have jazz evenings! Very cool. 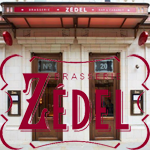 Brasserie Zedel is modeled on legendary Parisian brasseries like Chartier. The dining room is sumptuous, the waiters are dressed in white aprons and black vests. But more importantly, it's the only place in London where you can start with 'oeufs mimosa', (that's boiled eggs and mayo. Who said French cuisine was necessarily 'refined'?..) for £3.75. That's the point: simple affordable food in a grand setting. Of course, if you want to spend more, you can also order some lobster from the 'luxe' menu. It caters to all budgets. 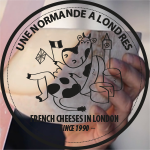 Go and get your cheese from Une Normande à Londres. 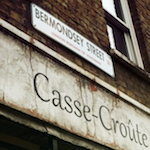 You will find them in Borough Market and Maltby st market. 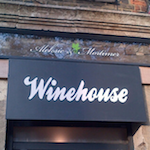 We are lucky to have the lovely Winehouse just round the corner on Shacklewell lane. It's definitely a welcome addition to the neighbourhood! Aleksic and Mortimer are wine importers specialised in artisan wines. 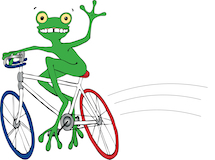 They source their bottles from small domains, located mainly in France, and provide a very interesting selection with friendly starting prices. Don't hesitate to ask for advice if, like me, you don't know much about wine. They are passionate about what they do and genuinely helpful!